This post is a part of a yearlong partnership with The National Shrimp Council. Let’s be honest, I’m always excited to share recipes with you. When I develop a recipe and it turns out amazing, I’m so energized and thrilled and then get so out of control excited to share it with you, it’s kind of annoying. The second time I made this recipe and it came together, I was jumping up and down. 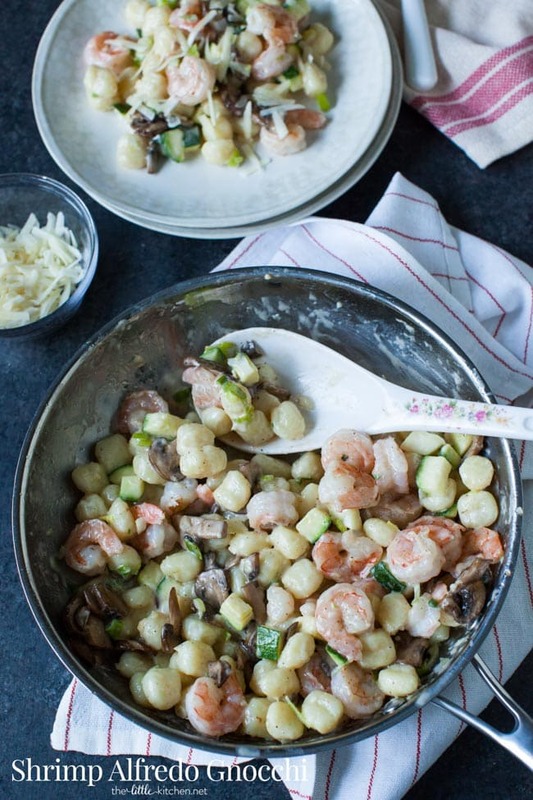 This dish combines three of my major loves: shrimp, gnocchi and Alfredo sauce. And it’s easy to make. Don’t forget to check out my other recipes that include shrimp including these Spicy Shrimp Spring Rolls and this Red Pepper and Garlic Shrimp Pasta! Prep your ingredients…it makes your life much easier when you go to cook everything. 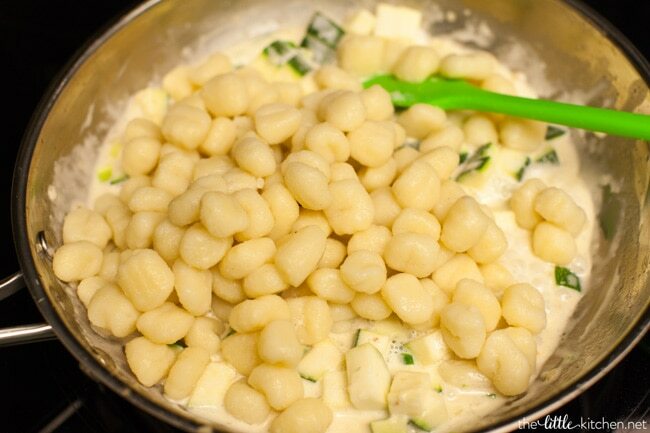 Let’s look at the gnocchi! 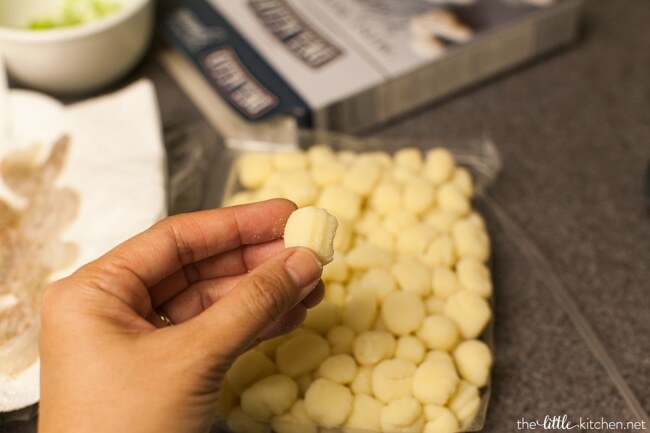 I’m a huge fan of DeLallo products…including this mini potato gnocchi! Add salt and pepper to season the shrimp after patting it dry. Add butter to a skillet. 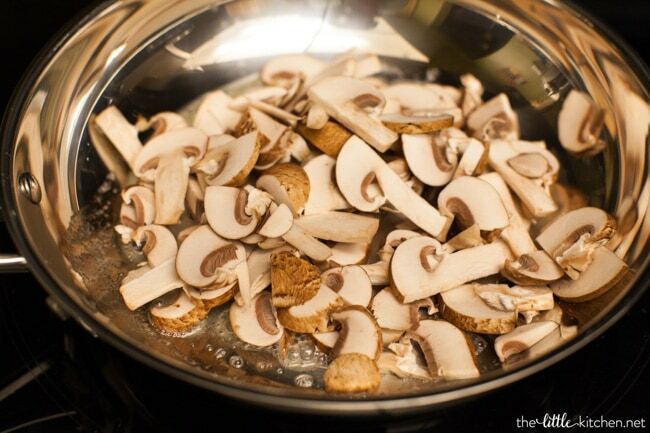 After the mushrooms are cooked, remove them and clean the pan. 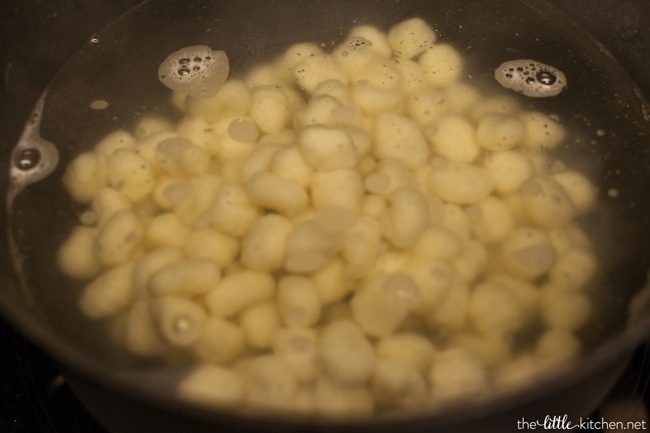 After the mushrooms are cooked, now’s the time to add the gnocchi to the pot of boiling water. 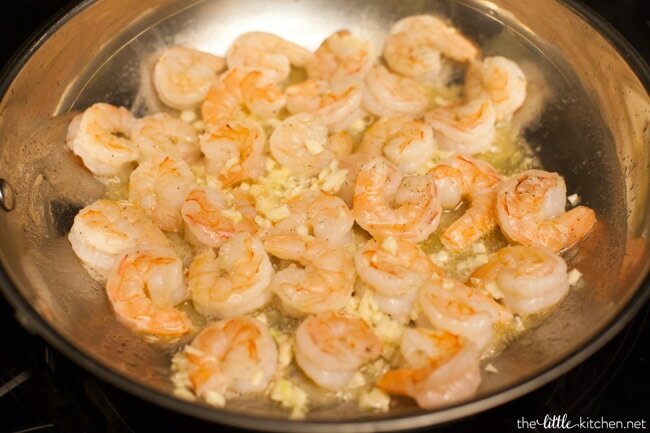 Add more butter and cook the shrimp and garlic…looks sooo good!! Cook for just a couple of minutes and then remove from the skillet. and half of the green onions. Then, add heavy cream. Cook for a couple of minutes to reduce the cream. 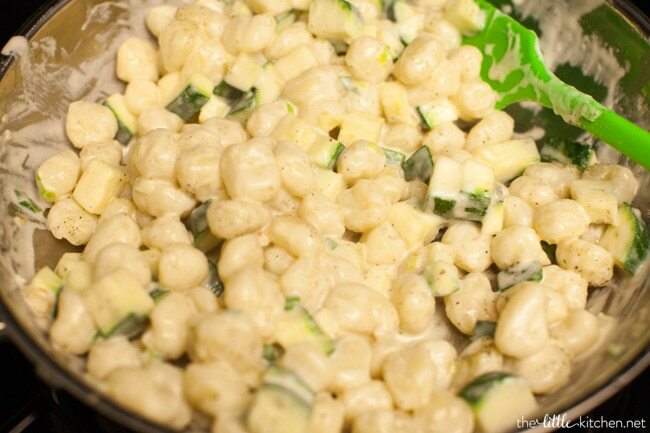 When the gnocchi is cooked, drain the water and set aside. Look how creamy it looks! 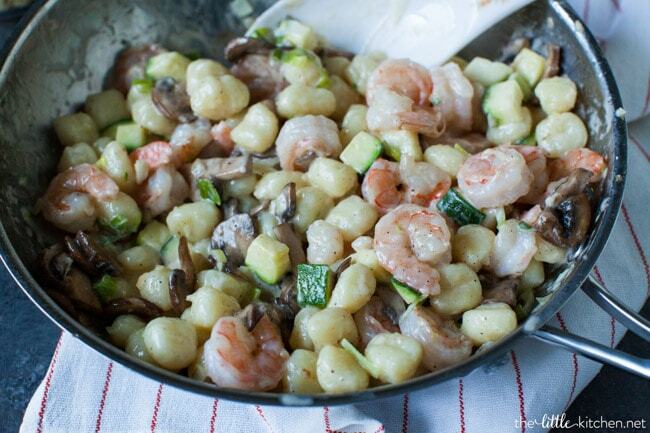 Add the shrimp and mushrooms and mix well. 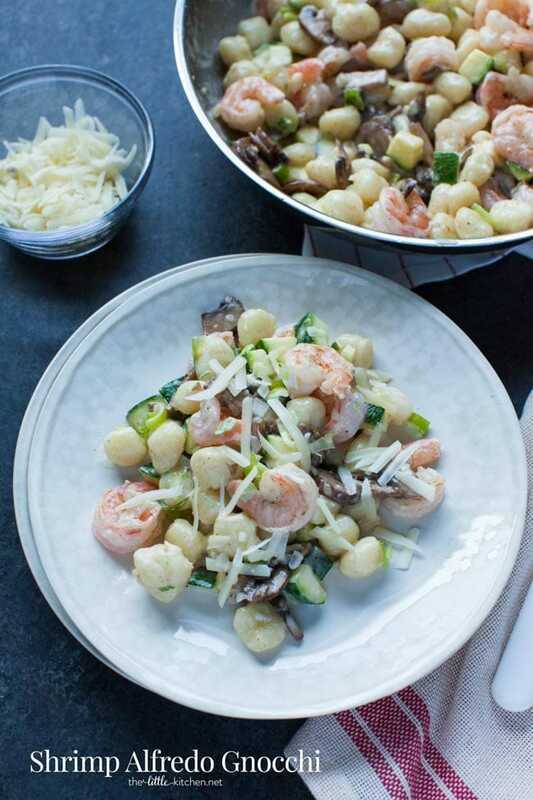 It’s a light Alfredo sauce and with the shrimp and using gnocchi…this dish is the perfect weeknight meal. It takes only 30 minutes to make! We will be making this recipe over and over again, you can count on it! 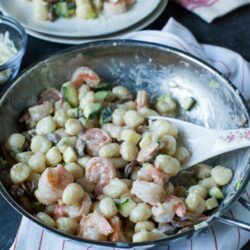 or more great recipes, be sure to visit the Eat Shrimp facebook page! Bring a pot of water (with a generous amount of salt) to a boil. 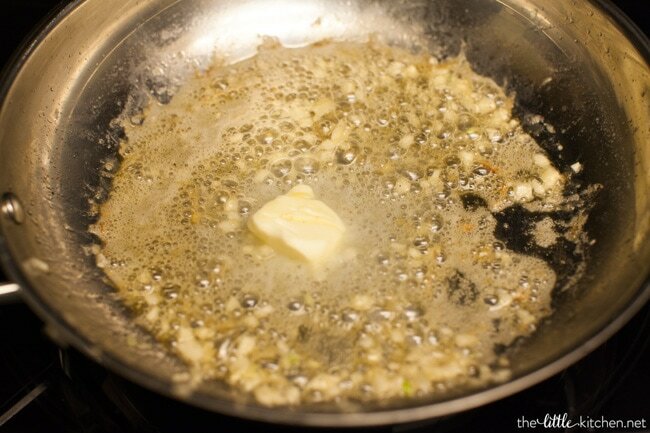 Add 1 Tablespoon of butter to a skillet and turn the heat to medium high. Melt the butter and add sliced mushrooms and a couple splashes of soy sauce. 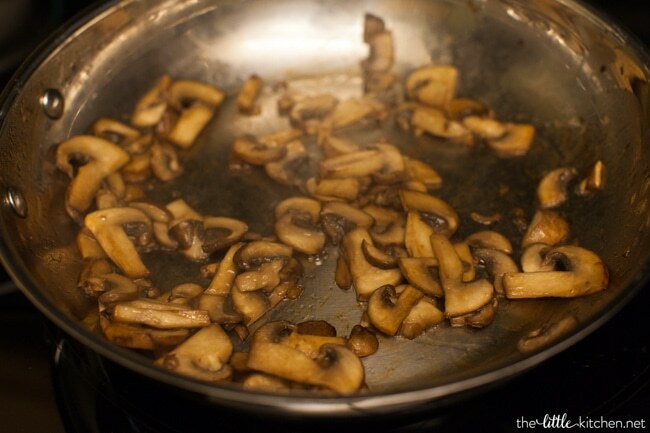 Cook the mushrooms for about 5 to 6 minutes, or until the liquid is cooked away and the mushrooms are cooked and browned. Remove the cooked mushrooms and set aside. Wipe the pan clean with a paper towel (if using stainless steel cookware, rinse with warm water being careful as you do it and then wipe dry). 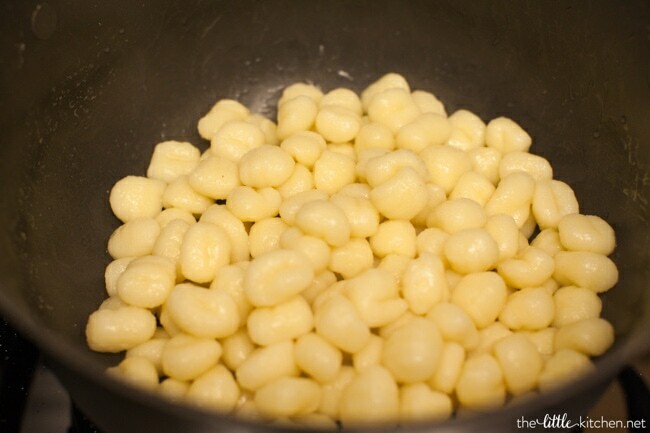 Add the gnocchi to the pot of boiling water and set a timer (use the directions on the package) to ensure you don’t overcook the gnoochi. 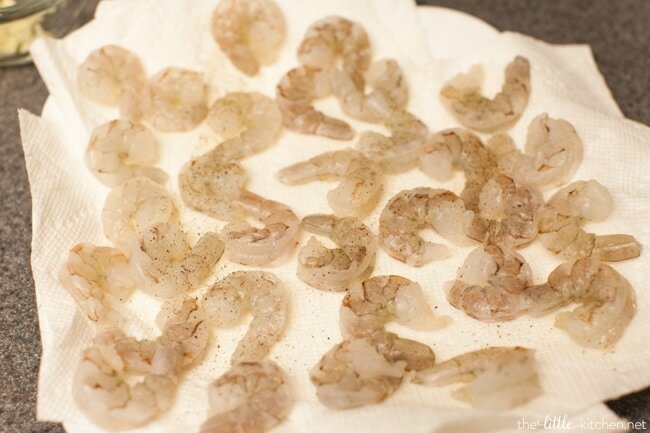 Prep the shrimp, pat dry with paper towels and season the shrimp with salt and pepper. 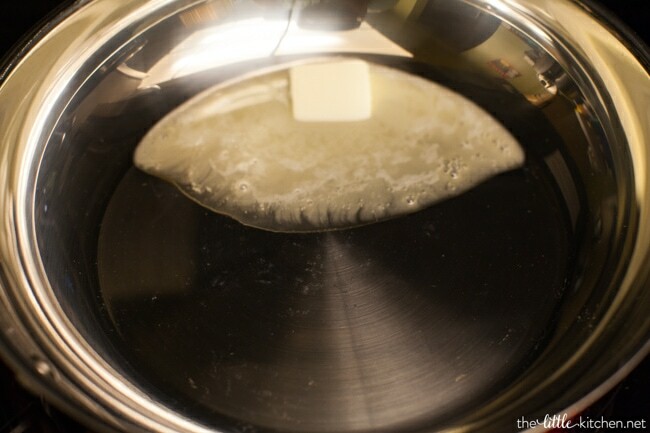 Add 2 Tablespoons of butter to the skillet and turn the heat to medium. Melt the butter and add the seasoned shrimp and garlic. Cook for 2 to 3 minutes, be sure to flip the shrimp too. 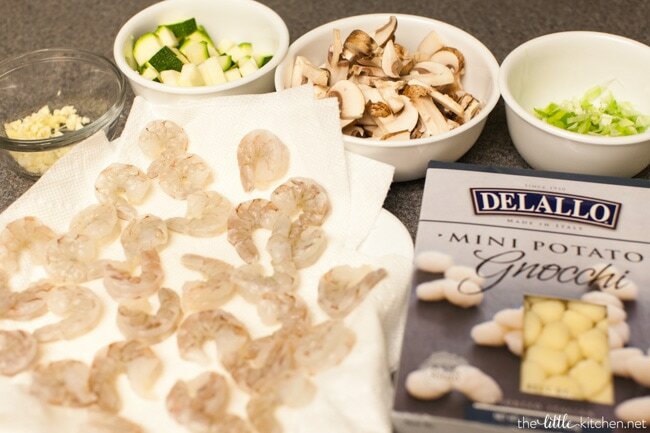 Remove the shrimp and set aside. 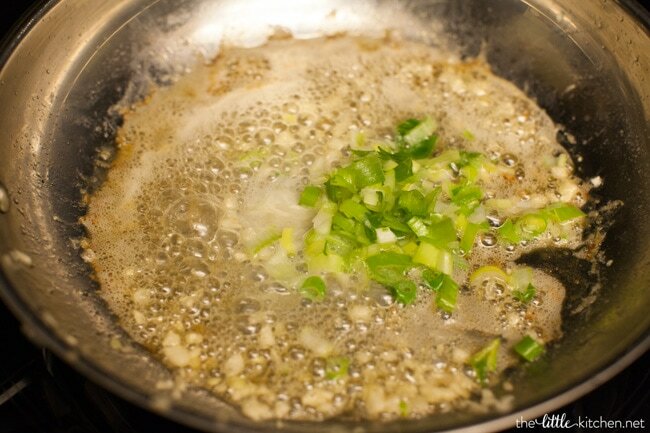 Add the remaining butter and half of the green onions. Add heavy cream and cook for 2 minutes. Add cheese and the diced zucchini. Cook for 1 minute. 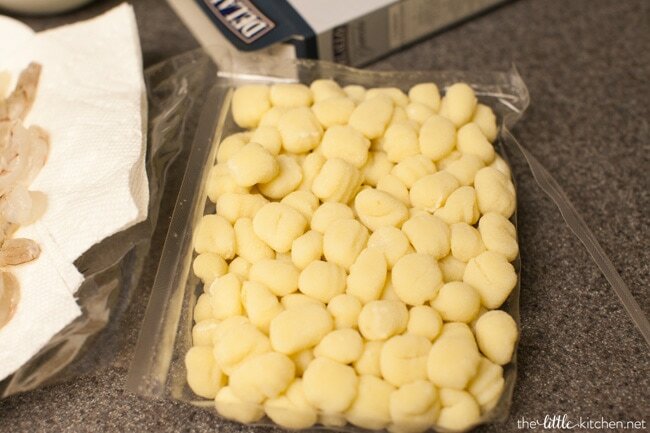 Turn off the heat and add gnocchi and mix thoroughly. 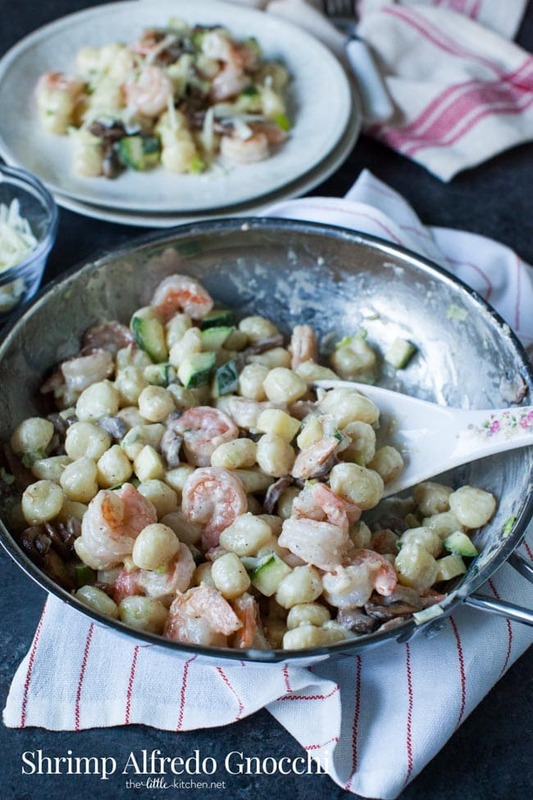 Add back the shrimp and the mushrooms. 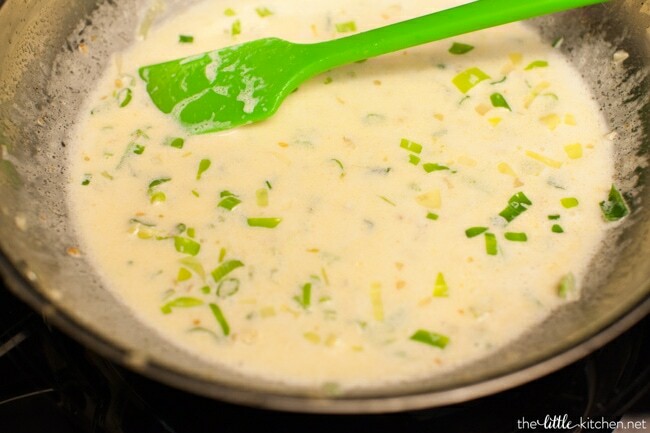 Mix again and serve with additional Parmesan cheese and green onions on top. Disclosure: This post is sponsored by The National Shrimp Council. DeLallo did provide product for the purpose of this post. I always share with you my own opinions and only work with brands that I love. Thank you for supporting the brands that I work with so I can continue to share with you recipes like these!